Tonight something happens that only happens every blue moon – a blue moon. This provides the perfect excuse for me to watch a favourite film of the early ’80s, the John Landis comedy horror, ‘An American Werewolf In London’ (1981). David Naughton’s famous metamorphosis from man to werewolf made a major impression on Michael Jackson, who’d subsequently work with Landis on what’s now regarded as the greatest music video of all ‘Thriller’ (1983), complete with Jackson’s own werewolf transformation. He even referenced the disclaimer from the closing credits – ‘any similarity to actual events or persons, living, dead, or undead, is purely coincidental’. 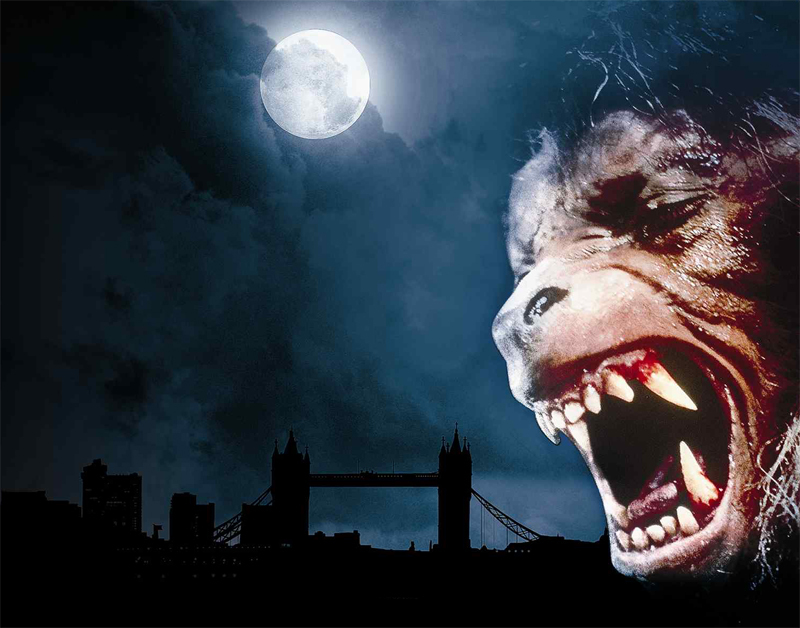 I love the script of ‘American Werewolf in London’, some wonderfully quotable lines in there, and the music used is particularly well chosen with its lunar theme – Van Morrison’s ‘Moondance’, Creedence Clearwater Revival’s ‘Bad Moon Rising’, and no less than 3 classic versions of ‘Blue Moon’, by Bobby Vinton, Sam Cooke and The Marcels. Naughton (David Kessler) and co-star Griffin Dunne (Jack Goodman) are a great double-act, and I must also admit to having had a thing about Jenny Agutter at the time, who cut a fine figure as Nurse Alex Price. Anyhow, if you’re going to check it out tonight, happy skygazing. The phenomenon occurs when there is a second full moon in one calendar month. The last blue moon was in March 2010 and the next one will not take place until July 2015. The saying ‘once in a blue moon’ signifies this rare occurrence – it does not actually mean the moon will be blue. Tonight’s is all the more poignant given the death of Neil Armstrong, the first man to walk on the moon back in 1969, who died last weekend (Aug 25th) and whose memorial service was held today. His family has suggested that as a tribute to the astronaut, people should look up at the moon and ‘give him a wink’.